When roughly two-thirds of global social media ad-spend heads the way of Zuck and co, you’re going to struggle to argue that point! Why is this the case? Well, first and foremost, the Facebook ad model is a seriously effective beast. It’s reach across Facebook, Instagram, Messenger and their Audience Network is huge, highly mapped and insanely targeted. They never stop innovating when it comes to ad formats and to top it all, it’s beautifully cheap when done properly. Compare Facebook ads with Twitter’s rarely evolving options and it’s like chalk and cheese! From day one, Twitter’s ad CPCs (Cost per Click) and CPAs (Cost per Acquisition) have been almost double, couple that with a dwindling, less active user-base, a comparable dearth of targeting data and general lack of a clue how to make a business work, and the big F is blasting the tweety bird out of the sky. What about LinkedIn? Yes, it can be effective, but again, superbly pricey when compared to Facebook, it lacks features, reporting and in my opinion, ads within LinkedIn have a horrible spammy air about them. Snapchat? Well, they have some innovative options, but unless you want to create a custom geo-filter (nice, but purely a brand exercise), you’re looking at a minimum spend of $1000 for simple click ads. I feel Facebook have won the social media ad battle in a very permanent manner. They understand business and marketing. Snapchat broke through in a big way this year, with a reported 27% increase in users seeing it surpass Twitter for active users in the USA. It’s no longer only a place for ‘youngsters’ and now hosts people from all walks of life, snapping, sharing and adding lenses to their faces. One of the remarkable factors with Snapchat in the past year is the amount of new features they’ve added to the platform. They’ve taken on Whatsapp, Skype and the like with voice and video calling, 24 hour ‘Stories’, the ability to save ‘Memories’ (photos etc from other sources ) to the app for sharing later or creating custom geo-filters, Snap Inc’s key product just didn’t stop. They led the way with social media innovation and I have to applaud that. Something that sits at the core of Snapchat is fun. It’s a fun platform to use, the Lenses (face-swapping etc) are a key part of that and also in driving new user acquisition. 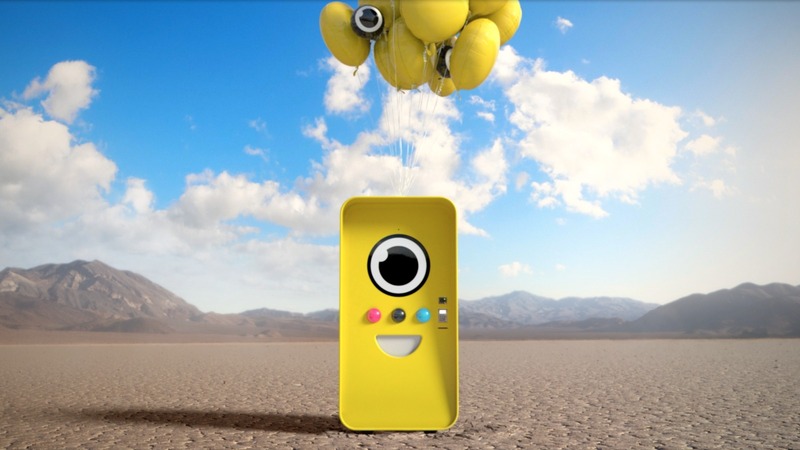 Then, you come to Spectacles, Snap Inc’s wearable glasses that allow you to post to Snapchat from your face! The launch of this product has been a marketing masterpiece, with ‘bots’ (fancy vending machines) cropping up at locations such as the Grand Canyon (see pic above) and causing a huge buzz. Scarcity is often a wonderful marketing tactic. I can’t wait to see where Snapchat goes in 2017. While Snapchat innovated, the others simply copied. It became very apparent in the final quarter of this year that the key platforms have been caught in a mimicking cycle for much of 2016, with much of that ripping-off stemming from Snapchat’s advances. Instagram was a huge culprit, right up until this week when it rolled out ‘Stickers’, a feature very similar to Snapchat’s much loved overlay and geo-filter option. Here’s an interesting look at the features war from AdWeek. With everyone looking over each other’s shoulders, is there a space in the market for a truly different platform? Are there actually any big, impactful social media ideas out there? That’s what it would take to breakdown the big guns, nut there may be hope. 4 – Did you say Twitter? Question – did you use Twitter more, or less in 2016? Why so? Help for an article, credit/link will be given. Pls RT. @mike_mcgrail The same, but finding it harder to get what I’m after. Too much clutter / grey area between work and personal. @mike_mcgrail Definitely less. Changes to timeline have made it less easy to use and I’m increasingly conscious of the echo chamber effect. @mike_mcgrail more. More for personal use (F1 stuff), a bit less professional. Still love it after 7 years of use. Connecting people. Thanks to all who responded, click/tap the tweet if you’d like to follow them. Twitter just isn’t the draw it used to be. A lack of innovation while adding dumb new features means the experience never moves forward or changes. There’s too much horrible noise to cut through and outside of lapping up news and gossip, many people find it hard to define why they need it. As the tweeters above said, it’s a big, bellowing echo-chamber at times. Personally, I still love Twitter, I’m there every day, but my time spent is dwindling. On the marketing front, it’s no longer a must-have in many of the strategies I’m writing as making an impact organically is tough and as I said earlier, the ad model is poor. What does 2017 hold for Twitter? Who knows. I’m not even sure they do. 7/10 of those apps are chat-based. Outside of that, we have a game that has a chat function, and social platforms that clearly have talking to people as at least a key function. Note that Facebook owns the the top four! They won there too. We can’t escape the fact that we’re morphing into a race that does more communication via apps, text and emoji than every before. Facebook are piling serious time and money into Messenger, they’ve brought Chatbots to the fore (big one for 2017) and across the globe people are connected by a these chat-based platforms. This isn’t going to slow, it’s going to accelerate in 2017, with Facebook at the core of most of it, certainly in the West. For marketers, it brings the potential for a heck of a lot of pain. I’ll not go into that for now. Thanks for reading! What do you think about my big observations from 2016? Any to add? Please do let me know in the comments section below, or chuck me a tweet.